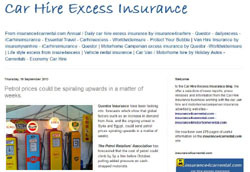 Summary Details: Although two of the major providers of car hire excess insurance are based in the UK, residents in any country in the world can easily buy their products. This is of course subject to the individual insurance specialist's terms and conditions. This means if you are a resident of France, Ireland, Spain, South Africa, USA etc you can buy this important insurance on your credit card in your local currency. When a car is hired the customer can greatly reduce the costs associated with hiring a car by independently obtaining cover for the excess for any damage to the vehicle. Buying a Collision Damage Waiver from the hire car company can still leave you with a bill of a thousand pounds or so if the car is damaged while in your care, because of the insurance excess (the amount you must contribute if your car is damaged while you hire it). You can insure against paying this excess, but the cost can be high when taking out a policy through the car rental agency (typically over £10 a day). 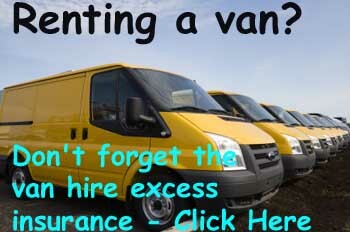 Providers like insurance4carhire and questor have excellent deals. 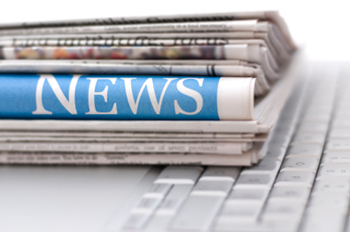 Questor says "Buy a daily policy from £2.98 per day or annual from just £43.68." Insurance4carhire says "For just £4.75 per day, dailyexcess.com protects you against Excess charges worldwide, whenever and wherever you rent a car and annual European policies cost £49 and Worldwide £65." Philip Suter of insurance4carrental.com said" We recently contacted Questor insurance about this issue and they replied." I can confirm that non-UK residents are eligible to purchase our car hire excess insurance. Please note that non-UK residents would not be covered to hire in their home country e.g. a resident of France would not be covered for hires in France". Philip went on to say "regarding insurance4carhire.com they state in it's questions and answers section "Can I purchase your Excess Policies if I am not a resident of the UK? Yes, our Excess policies can be purchased by people resident anywhere in the world"
jml-property-Insurance.co.uk is part of jml Property Services, the trading name of Jeffrey Milner Ltd. The company is an UK based company that was established in 1979. jml insurance acts as a web promoter for insurance companies selling property insurance including landlord and tenant rental products, pet insurance, wedding insurance, motor insurance, car hire excess insurance (via www.insurance4carrental.com), travel insurance and non standard insurance products. They also operate jmlvillas.com an online marketing service for owners of holiday home property to advertise and are part of the jml Group that includes jml Training and Consultancy.